Wellcome Book Prize is an annual British literary award sponsored by Wellcome Trust. In keeping with the vision and goals of Wellcome Trust, the Book Prize "celebrates the topics of health and medicine in literature", including fiction and non-fiction. The winner receives £30,000 making it "one of the most remunerative literature awards on offer." The current prize for medicine in literature was inaugurated in 2009, but there was an older award with the same name. 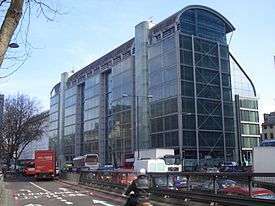 In 1998, Wellcome Trust began offering a prize that would enable a practicing life scientist to take time off and write a science book for the general reader. Applicants would submit a book outline and sample chapter, winners would then be obligated to write and publish the book. It appears the only winner was Michael J. Morgan for The Space Between Our Ears: How the Brain Represents Visual Space (2001), before the prize (for science writing) was discontinued. From 2009 to2012 it was called the Wellcome Trust Book Prize. In 2013 there was no award however there were changes to the prize including an increase in prize money from £25,000 to £30,000 and a new timetable of key dates: shortlist in February and winner in April. ↑ "Prize for medicine in literature." The Times (United Kingdom) [serial online]. October 11, 2012. Available from: Newspaper Source Plus, Ipswich, MA. Item: 7EH1489323595. Accessed September 30, 2012. 1 2 "2013: No prize awarded". Wellcome Book Prize. 2013. Retrieved 2 December 2013. ↑ "Past Prizes – 2009". Wellcome Book Prize. Retrieved 27 April 2016. ↑ "Past Prizes – 2010". Wellcome Book Prize. Retrieved 27 April 2016. ↑ Joanna Bourke (10 October 2011). "2011 Wellcome Trust Book Prize shortlist". The Lancet. Retrieved 30 September 2012. ↑ "Philip Roth's polio novel among six books shortlisted for UK medical literature prize." The Canadian Press [serial online]. November 9, 2011; Available from: Newspaper Source Plus, Ipswich, MA. Accessed September 30, 2012. ↑ Charlotte Williams (15 October 2012). "Random House gets four nods for Wellcome Trust Book Prize". The Bookseller. Retrieved 9 November 2012. ↑ "Thomas Wright wins Wellcome Book Prize". The Daily Telegraph. 9 November 2012. Retrieved 9 November 2012. ↑ "Andrew Motion announces shortlist for the Wellcome Book Prize 2014". Wellcome Trust. 25 February 2014. Retrieved 26 February 2014. ↑ GrrlScientist (26 February 2014). "Wellcome Trust's Book Prize 2014 shortlist announced". The Guardian. Retrieved 26 February 2014. ↑ Alison Flood (29 April 2014). "Wellcome book prize goes to Andrew Solomon's Far From the Tree". The Guardian. Retrieved 27 May 2014. ↑ "The Wellcome Book Prize reveals 2015 shortlist". Wellcome Trust. 9 March 2015. Retrieved 10 March 2015. ↑ "Tumour memoir wins £30,000 Wellcome book prize". BBC News. 29 April 2015. Retrieved 30 April 2015. ↑ "Wellcome Book Prize 2016 shortlist revealed". BBC News. 14 March 2016. Retrieved 15 March 2016. ↑ "'It's All in Your Head' by Suzanne O'Sullivan wins £30,000 Wellcome Book Prize 2016". wellcomebookprize.org. 25 April 2016. Retrieved 26 April 2016. Wellcome Book Prize, official website.